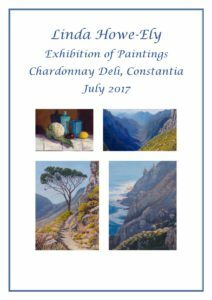 This month I am exhibiting 26 works at Chardonnay Deli, a popular deli and coffee shop in Constantia. This is the poster I made to advertise it. I will be meeting people there during the month to talk about my work.